Unless you’re trespassing on someone else’s property, it’s reasonable to have some expectation of safety as you go about your day. For example, you can expect the floors at the grocery store to be dry and the steps at your friend’s apartment complex to be sturdy. When a business owner or landlord fails to maintain their premises, those who get hurt as a result are entitled to sue for damages. If you slip and fall on a public sidewalk, however, pursuing compensation poses certain challenges. Here is what you should know about filing a premises liability claim following an accident on public property. There are a few parties that could be liable for a sidewalk slip and fall, and the circumstances of the accident will ultimately determine who you sue. If you fell because the sidewalk was cracked and uneven, for example, the municipality responsible for maintaining public spaces might be responsible. If you slipped on ice or snow, the owner of the nearest property could be liable. In most Massachusetts cities, property owners are obligated to clear the sidewalks in front of their structures. Failure to do so could result in a fine—and expose them to certain liabilities. To recover a payout following a slip and fall, you must prove the liable party knew or should have known about the hazardous condition but failed to address it promptly. You must also prove that you were not reckless or impaired at the time of the accident. Because Massachusetts has a modified comparative fault rule, being found partially liable for the accident could limit how much compensation you ultimately recover. Under this system, the final payout will be reduced by your own percentage of fault. And if you are considered more than 50% liable, you are barred from recovering anything at all. It’s important to remember that no matter how strong your case it, it won’t matter if you miss critical filing deadlines. And while the typical statute of limitations in Massachusetts for personal injury claims is three years, this deadline is considerably shorter for those who want to name a government entity in their claim. While injured parties still have three years to file a formal suit against a city, county, or state, they must submit a notice of their claim within just two years. 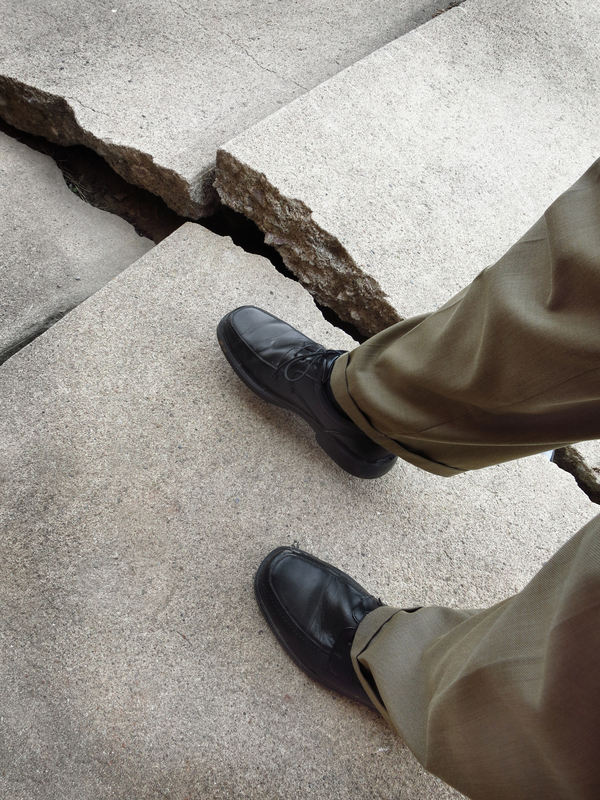 If you think you have grounds for a premises liability claim in Massachusetts, get in touch with Bellotti Law Group, PC. From their offices in Boston, Cambridge, and Quincy, this firm counsels clients in a variety of areas. Led by Attorney Peter Bellotti, who has more than 15 years of experience in personal injury law, they fight tirelessly on behalf of accident victims. To schedule a free consultation to discuss your slip and fall accident, call (617) 225-2100 or visit their website to read more about the attorneys.